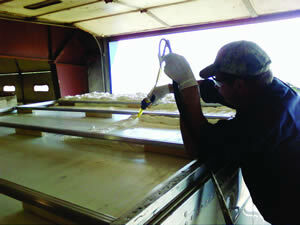 Touch 'n Seal foam systems offer value and versatility ideally suited for both OEM and repair of all types of vehicles. 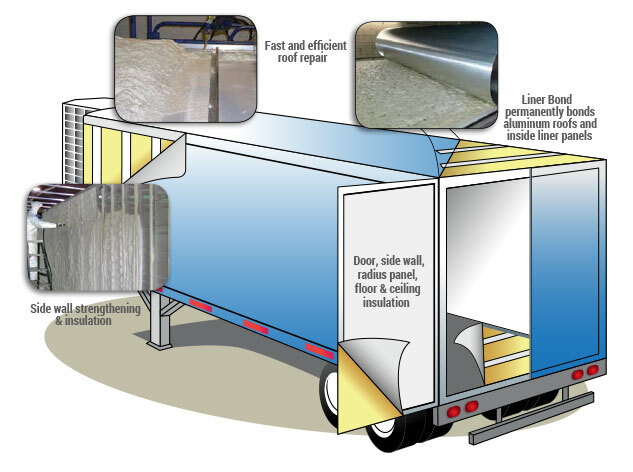 In addition to the repair, structural strengthening and repair of reefer trailers, Touch n' Seal foam systems are ideal for sound and thermal insulation of passenger vehicles, emergency response vehicles, buses and aircraft. Touch 'n Seal provides easy-to-use application systems with fast results and consistent superior quality. Touch 'n Seal spray polyurethane foam systems are available in sizes ranging from small disposable units to 120 gallon refillable foam systems. The Touch ‘n Seal Refill System is a two-component, Class I fire-retardant, spray polyurethane insulating foam system for large volume users. Touch ‘n Seal Refill Systems are available in 17, 60 and 120 gallon sizes. 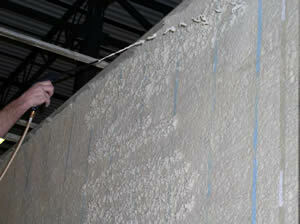 Refillable foam systems offer structural strengthening with exceptional thermal insulation value and sound reduction. Ideal for full building insulation and air barrier sealing. Returns are simplified with prepaid freight and easy pick-up when you have emptied the units. prepared spray foam insulation and aluminum posts.